This post has partner links that I may receive compensation for at no cost to you. Thank you! 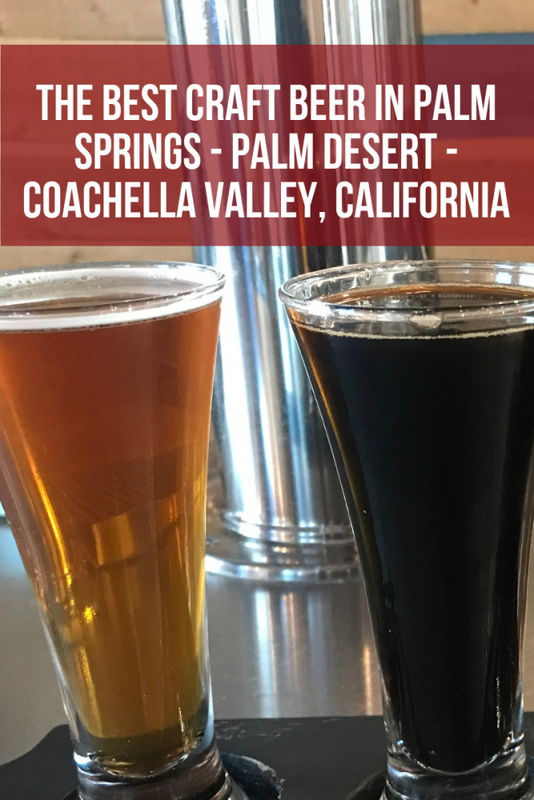 I visited Palm Desert & Palm Springs for a conference for work, but I spent as much time as I could trying to hunt down the best craft beer places in the area. 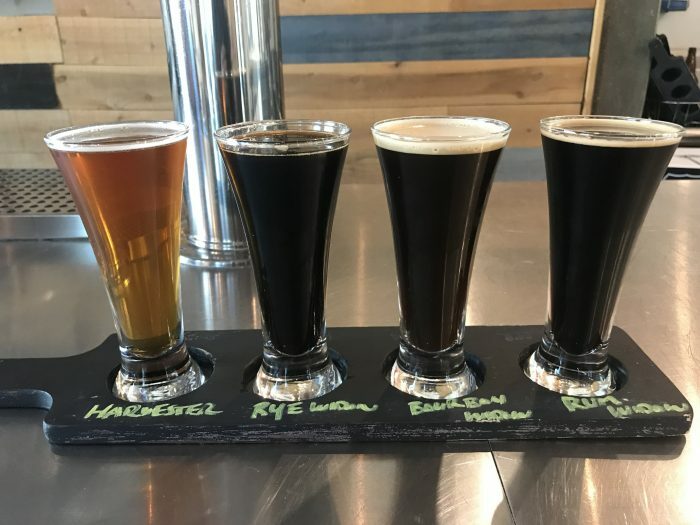 Los Angeles was late to latching onto craft beer, so these interior deserts down Interstate 10 were even later to the scene. The deserts of Southern California are an interesting place. The cities are a blend of resorts, suburbs, retirement communities, and then eventually, desert. Palm Desert, Palm Springs, and the Coachella Valley attract a wide variety of people. Celebrities flock to the resorts (& the annual Coachella Music Festival) to be seen and relax. Retirees come for the hot, dry, desert air & plentiful golf courses. And then you have the desert folk, who do a bunch of whatever. Having grown up across the same Sonoran Desert in the Phoenix area, there’s a certain culture in this part of the Southwest. I use the term culture loosely. It involves a lot of Sublime, nu-metal, and dirt bikes. All those groups can be found at the craft beer bars in Palm Springs & the surrounding thirsty desert towns. You can sit at a bar with retirees & some dude who just pulled up on a motorcycle. Somehow, it all works. There are a handful of breweries & beer bars serving some good beer out here in the desert. 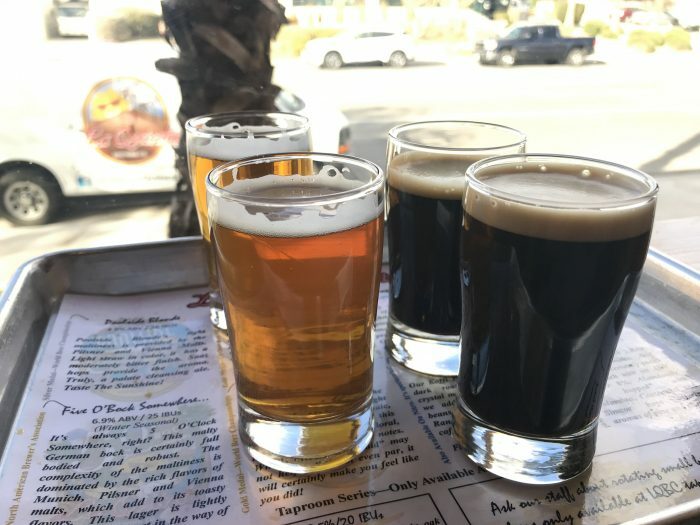 Here are my recommendations for the best craft beer in Palm Springs, Palm Desert, & the Coachella Valley. Coachella Valley Brewing Company is highly experimental, which I love. 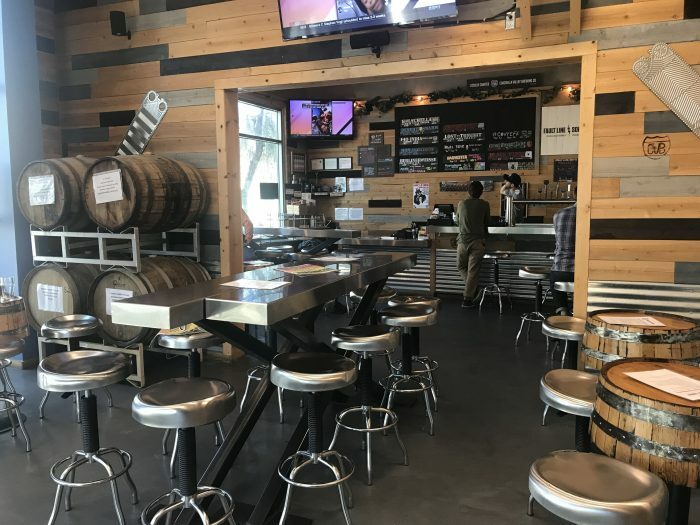 The brewery, which has been in operation in Thousand Palms since 2013, has 14 taps of their own beer, with plenty of rotation between them. They are constantly trying out new recipes, so you never know what you are going to find. Not only are they always innovating, they also strive to use local ingredients from all over the Coachella Valley. 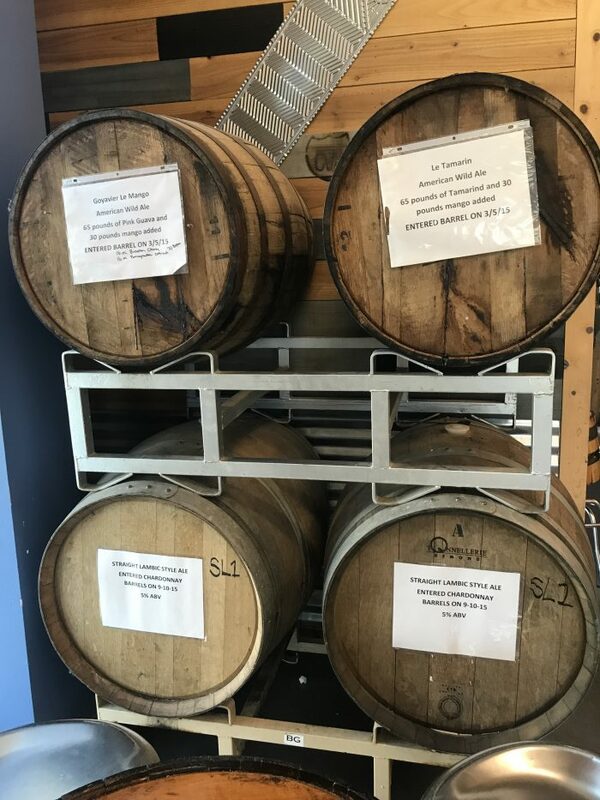 When I visited, I was able to try two different barrel-aged varieties of their excellent Black Widow Russian Imperial Stout. Despite being located in a hot desert, the brewery doesn’t shy away from heavy beers. Some of their beers have been aged for three years! Coachella Valley also has a unique program that would be intriguing to anyone who can get to the brewery on a regular basis. 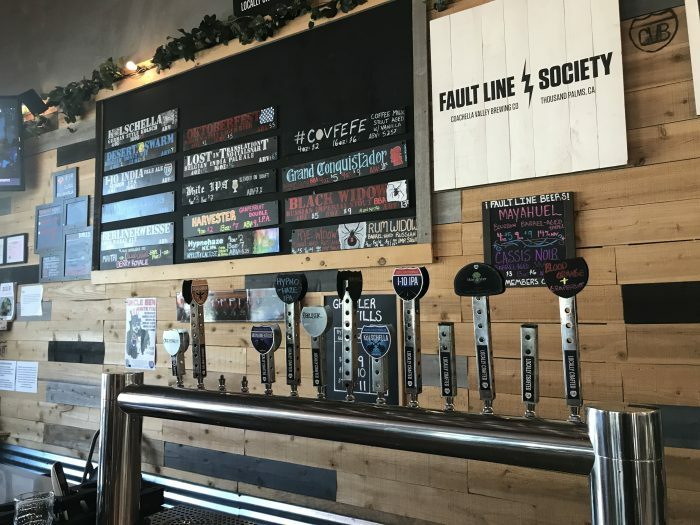 Called the Fault Line Society, the membership gives patrons discounts, gear, and access to special beers & events. 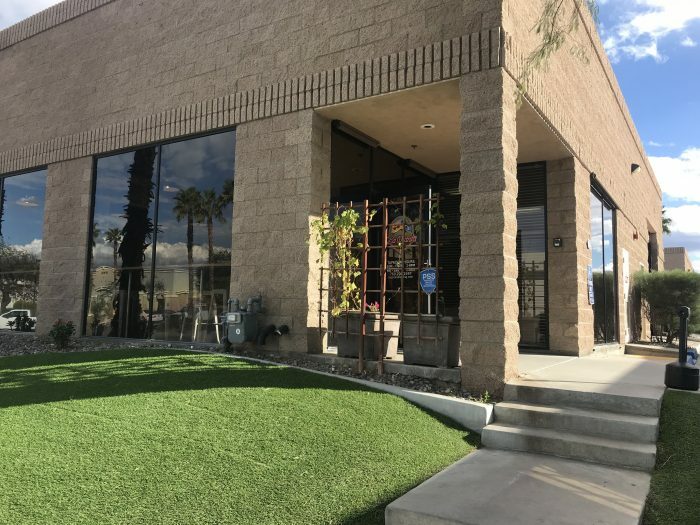 La Quinta Brewing Company has a three locations around Palm Springs & Palm Desert – a brewery in Palm Desert, and tap rooms in Palm Springs & La Quinta. 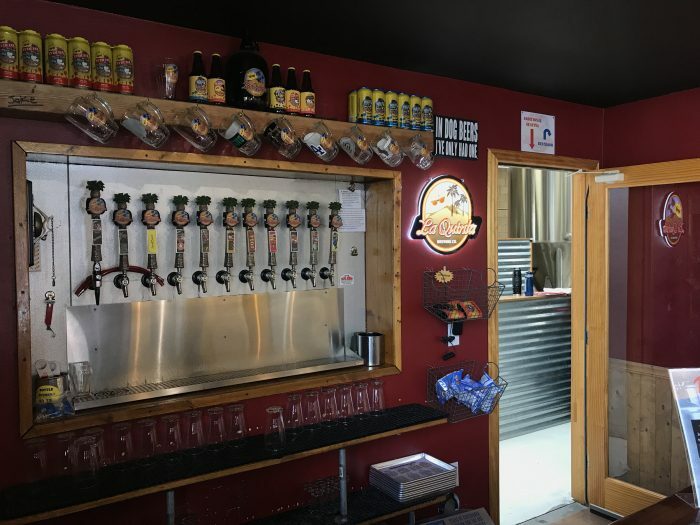 The brewery only has their own beer, but the tap rooms have guest taps as well. You can also find La Quinta beer at several other local bars & restaurants in the area. The La Quinta brewery can be found in an industrial park north of I-10. There were 11 taps when I visited, one of which was nitro. A couple of the beers were ones that are only available in the tap room. The place had that deserty vibe that I mentioned earlier. The music was everything I grew up listening to on the radio in Phoenix in the 90s – Sublime, 311, Smashmouth, and Sugar Ray. Golf was being shown on the TV. You wouldn’t normally guess that the patrons would be people that would ever hang out in the same place, but they’re drawn together by a common love of beer. 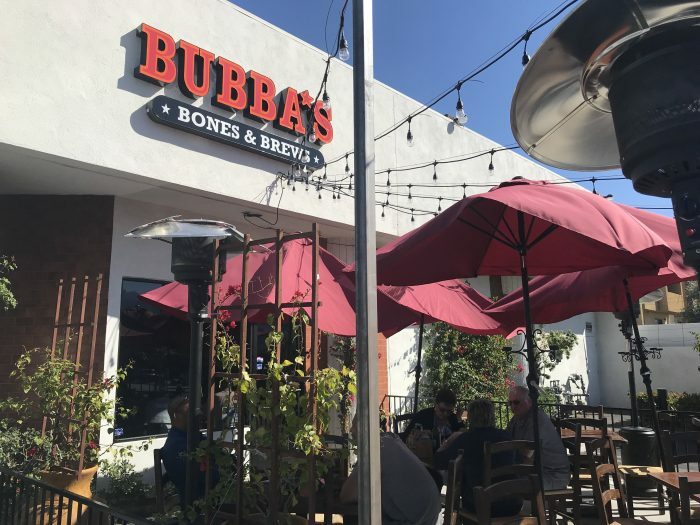 Bubba’s Bones & Brews is located in Cathedral City, which is just east of Palm Springs. It’s close to the Palm Springs Airport, making it a nice stop for some food & beer on your way in or out of town. I stopped there for my last meal before heading home. Bubba’s is a family-friendly establishment with a patio, a good happy hour & plenty of weekday food specials such as Taco Tuesdays (and Thursdays!). 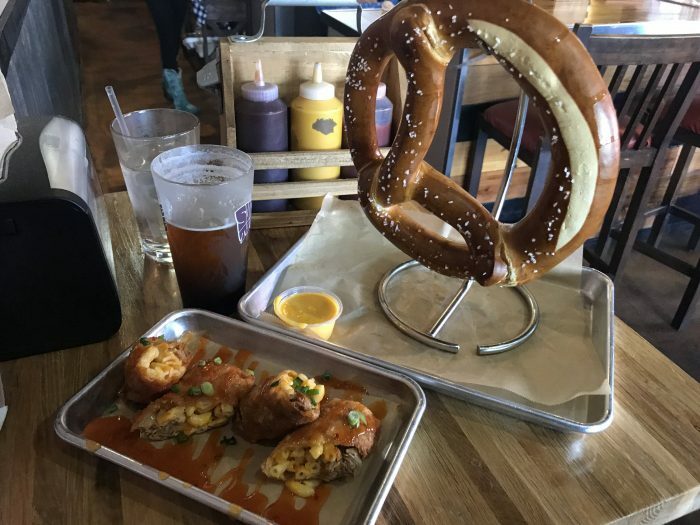 It’s a good place to go for sturdy bar food such as mac & cheese egg rolls & pretzels. The pretzels are also big enough to double as hula hoops. There were 8 taps of beer, a few of which were their own. There was a nice selection of a few dozen bottles as well. 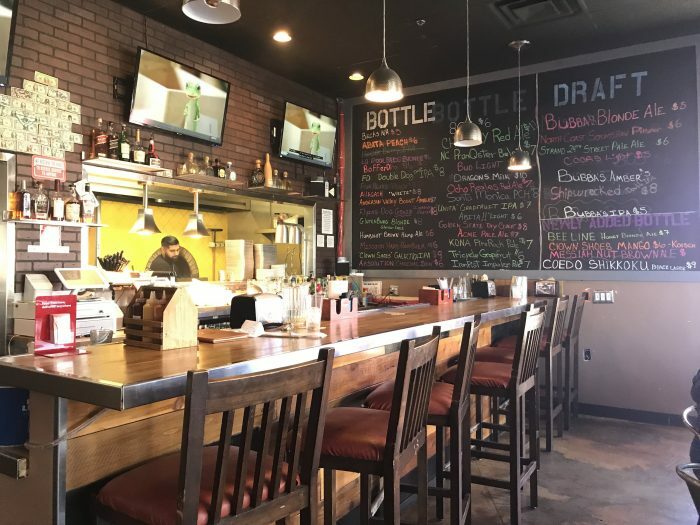 In addition to the places mentioned above, there are a few other spots around Palm Springs & Palm Desert that also have good craft beer available, including Babe’s Bar-B-Que & Brewhouse in Rancho Mirage, Dead or Alive in Palm Springs, and a couple of locations from the Eureka! Burger chain. For the best selection of bottled beer, visit Desert Wines & Spirits in Palm Springs. Do you love craft beer? Check out more of my recommendations for the best craft beer around the world! Like this article? Subscribe to my weekly e-mail & never miss anything!